On 5th August 2013, the Bishop of Wakefield, the Rt Revd Stephen Platten, received an answer to a written question on European Union Justice and Home Affairs measures. 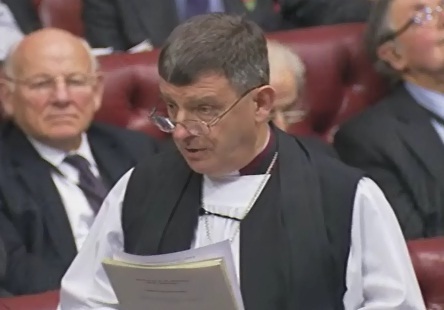 The Lord Bishop of Wakefield: To ask Her Majesty’s Government whether, prior to their decision on 9 July to opt out of 130 European Union Justice and Home Affairs measures as provided for by the Lisbon Treaty, guarantees were provided by the European Commission that the United Kingdom would be able to opt back in to various police and justice provisions. The Minister of State, Ministry of Justice (Lord McNally): Protocol 36 to the Treaties places an obligation on the UK and the Union institutions to, “…seek to re-establish the widest possible measure of participation of the United Kingdom in the acquis of the Union in the area of freedom, security and justice without seriously affecting practical operability of the various parts thereof, while respecting their coherence”. We are confident that we will be able to reach agreement on a sensible final package of measures that the UK will formally apply to rejoin. Of course it is not possible to predict the final outcome of the discussions with EU institutions, but following the Governments announcement on 9 July the Commission made clear in a press release that it “respects the UK Government’s choice to opt out, which is in line with the Treaty, and welcomes the UK intention to also opt back into certain measures”.